Looking to recharge your number or book movie tickets or order food online or outsource daily chores? Then Tapzo can help you do them all at one place. You can simply download their mobile application and avail the services you want, right from booking movie tickets to traveling tickets, beauty to health and fitness, grocery to food and much more. Thanks to Happy Sale for updating the latest offers and other deep discounts and deals that can help you save on such services. Leverage this one single app that helps you get things done at your fingertips. Our daily life is filled with several tasks and wishful desires! From making payment of a utility bill to booking our choicest book online or our favourite designer dress to many more – there’s plenty that we want to do and have to attend to on a daily basis. Considering the fact that the internet technologies are making everything go mobile, it would be great if we had just one app for every app! 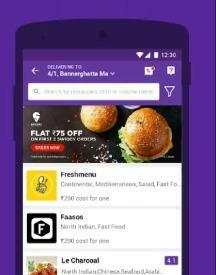 This is where you can reap the benefits of Tapzo which is a revolutionary app using which you can place order for books, dresses and food online as well as also recharge your mobile and the like. And to make it attractive and cost-friendly for you, today you also have access to the best Tapzo offers that are available online. When you browse and book your deals through HappySale you can select from the list of discounts. 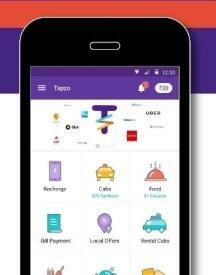 It’s very simple to have access to a Tapzo offer code from HappySale! You simply need to search for this brand in HappySale and you will come across a page that has all the deals. Each of the deals is different than the other. 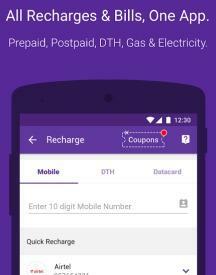 Using this coupon you can order food from Foodpanda and also get some of the best recharge deals from freecharge and many more. So from the promotional discounts to the cash back offers you have all the deals listed for you so that you can make the most of it and activate it with just a click. Get the offer code and then copy, paste it when you are about to clear the bill and you will be shown the discount that‘s meant for you allowing you to save a good amount. 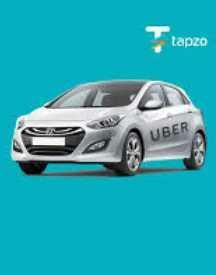 To be able to have access to the best of Tapzo deals of the day ensure that you book your deals from HappySale. 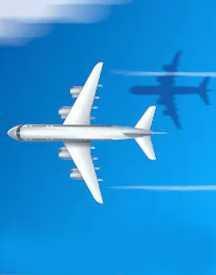 This website allows you to read about the deals as well so that you can known the deals better and then activate the same.